We all want to get away from time to time, but our budgets and schedule may not leave time for a weeklong vacation. Sometimes, you only need an easy day trip to satisfy your need to "get away". If you're looking for fun, interesting places to go that are only a few hours drive from Memphis, here's a list of day trips. Just down the road in Jackson, Tennessee is the former home of railroad legend Casey Jones. This circa-1800s home is filled with railroad artifacts, photos, and more. Surrounding the home is Casey Jones Village, which features shops, restaurants, train cars, and a replica of a railroad platform from 1900. If you have spent any time in Memphis, you have probably toured Graceland. But south of Memphis in Tupelo, Mississippi is the birthplace of Elvis Presley, a tiny home built by Elvis' father, uncle, and grandfather. Visitors can tour the home and visit other locations in the area that were significant in Elvis' life. If you are wondering how a restaurant can land on this list of day trips, you have obviously never been to Lambert's Cafe. This unique southern-food establishment is worth the two-hour drive from Memphis for a few reasons, not the least of which is the food. Perhaps the most popular draw to the restaurant is the "throwed rolls," warm soft rolls that servers toss to customers from across the massive dining area. Then there are the "pass arounds." These samples of sides are complimentary and are served from a large serving dish that is brought to each table. Come hungry. Pinson Mounds is a group of at least 15 Native American ceremonial and burial mounds that date from 1-500 A.D. These mounds include the second highest mound in the United States, Saul's Mound. Visitors can climb among the mounds and tour the on-site museum at the State Park to learn more about the mounds and view artifacts that were recovered in the area. In the early 1800's, massive earthquakes on the New Madrid Fault caused the Mississippi River to flow backward and form Reelfoot Lake. 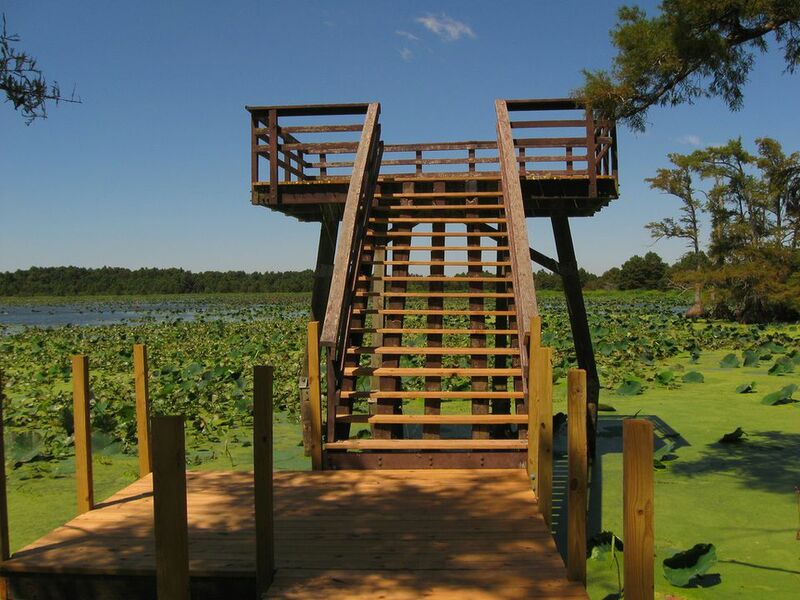 Today, Reelfoot is a popular destination for fishing, hunting, and especially for eagle watching. Did you know that the only freshwater pearl farm in North America is located right here in Tennessee? The pearls are cultured on the Tennessee River at Kentucky Lake and there is a freshwater pearl museum adjacent to the farm. Visitors are invited to take a guided tour of the farm and the museum and to shop for pearl jewelry and other items. Of all the day trips in this list, Tunica is the closest location. It's a good thing, though, because once you get to the casinos, hours of entertainment awaits. Visitors can indulge in all sorts of gaming, enormous buffets, Las Vegas-style shows and concerts, shopping, spa treatments, and much more.